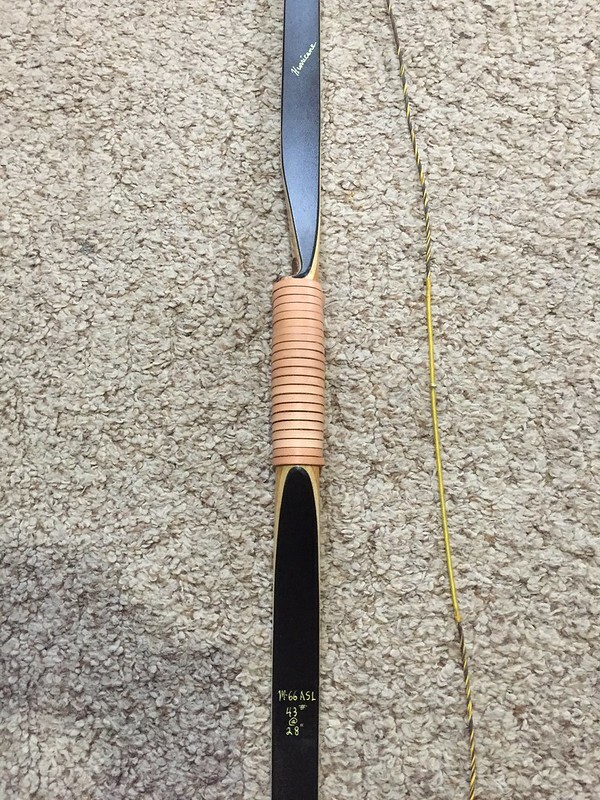 I have a newly made Aerican Semi Longbow for sale.Right hand, 66" long, 43#@28".About 1” reflex. 3 White ash lams, osage handle, natural leather lace wrap. Black Bo Tuff glass, micarta re-inforced tips. 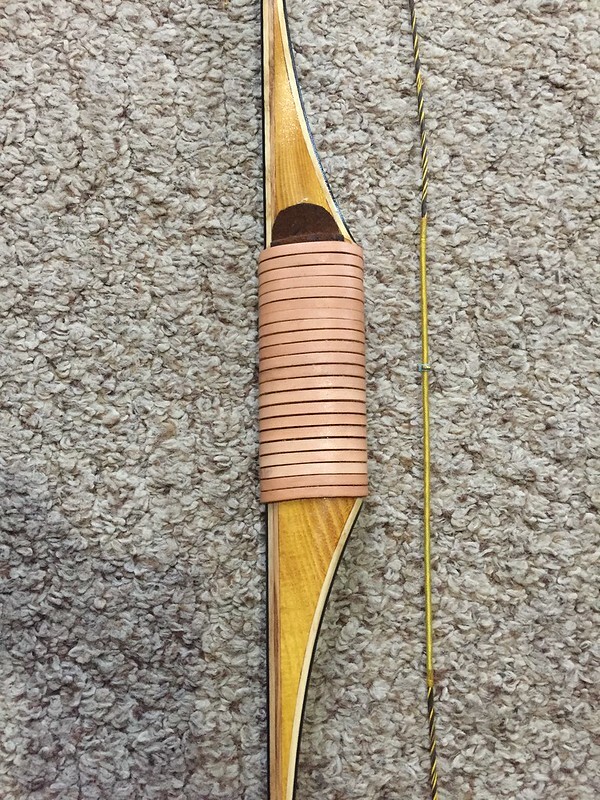 Very nice bow. $310.00., $8.75 shipping anywhere in the lower 48. Actual shipping to Canada, Alaska, or Hawaii. This one is gone. Can build these in 66” to 68”. Same price, 4 to 6 week delivery.